Breuer was an influential modernist designer and made a significant contribution to the Bauhaus. He was an architect and a designer. 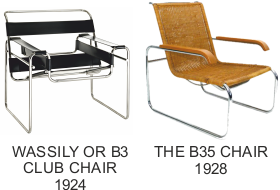 Breuer was a student at the Bauhaus, where his ability as a designer was recognised. 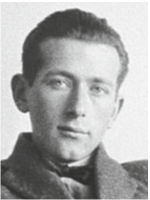 After a short time working in a Paris architectural practice, he moved back to the Bauhaus in 1925, as Head of the Carpentry Shop, working with his ‘mentor’ Walter Gropius (the founder of the Bauhaus). 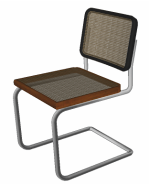 Marcel Breuer designed this famous chair and manufactured it from one piece of tubular steel. It typifies the Bauhaus philosophy - simple design, mass produced, modern, aesthetically pleasing and for the general public.